Police said Andrea Christidis was walking on the sidewalk when a car hopped the curb and struck her. 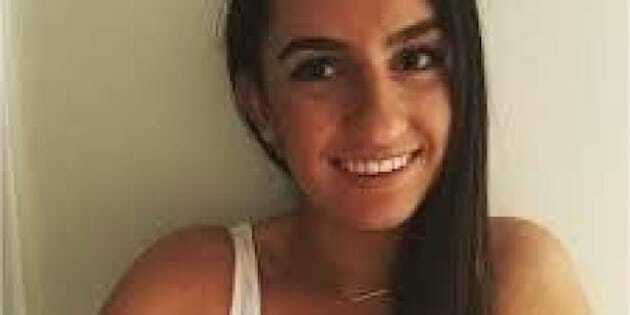 A first-year student at Western University has died after being hit by an alleged drunk driver. Police said Andrea Christidis, 18, was walking on the sidewalk on Lambton Drive near Talbot College at 11:35 p.m. when a car hopped the curb and struck her, according to the London Free Press. Christidis was thrown nearly 10 meters, witnesses said. She was taken to hospital in critical condition. A hospital official confirmed she died on Saturday. Jared DeJong, 24, was initially charged with dangerous driving causing bodily harm, impaired driving causing bodily harm and having more than 80 mg of alcohol in his blood while driving, according to the Free Press. He was released on $1,500 bail, with a driving ban and an alcohol ban, after appearing in court on Thursday. He is due back in court Nov. 3, according to the Western Gazette, the campus newspaper. A university statement issued Saturday said Christidis was a first-year health sciences student living in university residence. Western President Amit Chakma called Christidis' death a "terrible tragedy." “I know that I speak for the entire Western community when I say that my heart goes out to her family and friends at this most difficult time,” Chakma said in the statement.